Home / Latest News From Florida Powered Paragliding / BlackHawk Paramotor Seminar is a HIT at REI Sporting Goods! Mike Robinson, the owner of BlackHawk Paramotors, was asked to return to REI Sporting Goods for another Powered Paragliding seminar. Everyone had a blast! It was amazing to see how many people preregistered online for this “introduction to Paramotors.” Mike Robinson of BlackHawk Paramotors said: “Any chance we get to expose people to the life-changing experience of flight, we are there!” This seminar showcased the latest innovations & technology from BlackHawk Paramotors USA. This included several of their best-selling machines, the latest accessories on the market, and a screen showing some of the latest videos. Rick Hallowes, the head trainer at BlackHawk Paramotors showed up with several students to talk to people. “It’s always great to see people’s reactions when they see a Paramotor for the first time,” said Rick. Several people from the event are now planning on attending the upcoming 2013 BlackHawk Ranch Fly-In in Valley Springs, Ca. 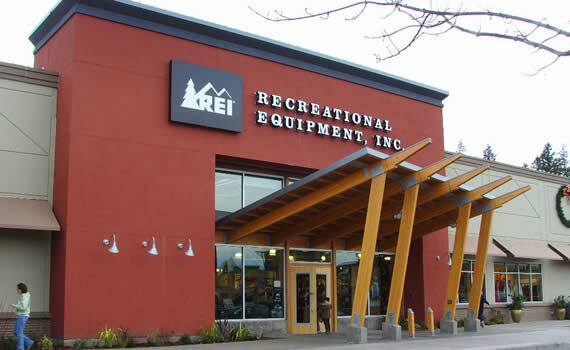 Mike Robinson stated “this will be a great opportunity for everyone who attended the seminar to see these machines in the air.” Managers at the REI store said the customer feedback from the event was outstanding. They are very excited to have the seminar again in the future! Previous Paraplegic Man Learns Powered Paragliding!